View from Seneca Point at Cook Forest State Park, on State Route 36 in northwestern Pennsylvania. 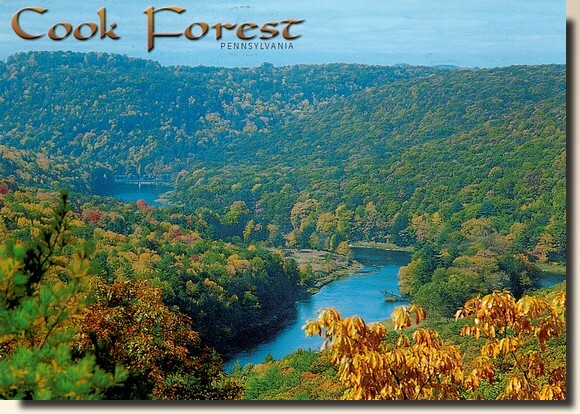 The Clarion River can be seen winding throught this beautiful forest wonderland. 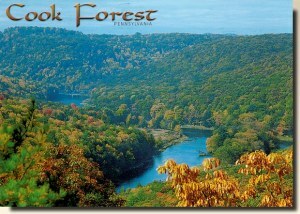 From the fire tower, nearly another beautiful view can be seen of the river and Cooksburg.